The usefulness of performing physical function assessments for evaluating clinical outcomes after all cardiac surgeries has been reported. However, no studies have evaluated the relationship between physical function and prognosis in patients undergoing cardiac open surgery with mitral valve regurgitation (MR). 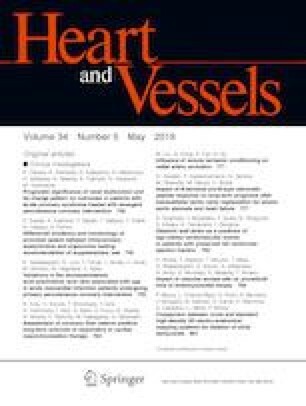 This study investigated whether physical assessment, such as the short physical performance battery (SPPB), could predict unplanned readmission events in patients undergoing mitral valve surgery due to MR. SPPB could predict unplanned admission events in patients undergoing mitral valve surgery due to MR. This retrospective study included 168 patients who underwent mitral valve surgery. SPPB was performed 1.6 ± 1.1 days before surgery. The primary endpoint was unplanned readmission. The mean follow-up period was 762 ± 480 days, mean age was 73.8 ± 6.3 years, and 43% of the patients were women. Of the study patients, 46 required unplanned readmissions; 29 of these patients required readmissions within 1 year. Multivariate Cox regression analysis demonstrated that SPPB was independently associated with the primary endpoint. Receiver-operating characteristic analysis showed that SPPB had an area under the curve of 0.71, with an optimal cutoff of 11. The study patients were stratified into SPPB 12 or SPPB ≤ 11 groups. Kaplan–Meier analysis showed that the event-free rate was significantly lower in the SPPB ≤ 11 group (hazard ratio 3.8, 95% confidence interval 2.1–7.0; p < 0.001). SPPB was a useful tool for predicting unplanned readmission in patients undergoing mitral valve surgery due to MR. The authors would like to thank Mr. Kentaro Hori, PT, and all members of the rehabilitation room at the Sakakibara Heart Institute.